“Dr. 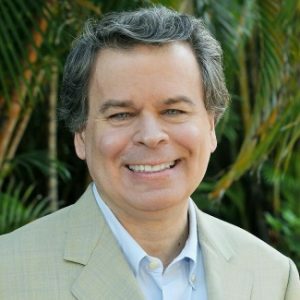 Nick,” as his patients called him, had been wildly successful treating chronic illness and even late stage cancer with his revolutionary Gonzalez Protocol. He was about to burst forth on a much larger stage. Unfortunately he never got the chance. Dr. Gonzalez practiced a new paradigm of medicine based on nutrition, diet, psychology and spirituality, where prevention was as important as treatment. Our foundation’s mission is to bring Dr. Gonzalez’s work – built on the pioneering science of Dr. John Beard, Dr. Weston Price and Dr. William Donald Kelley – to help more patients around the world. In 2017, the foundation focused on erecting the pillars to support Dr. Gonzalez’s legacy and developing the curriculum and support tools for a training program in The Gonzalez Protocol™. These include creating a new website at www.thegonzalezprotocol.com to generate awareness of Dr. Gonzalez’s work. This website promoted three new books by Dr. Gonzalez: the Conquering Cancer case report book series (covering 112 patient cases and over 19 different types of cancer) and Nutrition and The Autonomic Nervous System which explains why different people need different diets. In December, this website will also include a free video/audio hub of “the Best of Dr. Gonzalez” content so that everyone will have easy access to his teachings. In the words of the late Nicholas Gonzalez, MD, “There is no alternative medicine; there’s just medicine that hasn’t been accepted yet as mainstream.” Therefore, another pillar of our foundation is research that will document the scientific evidence of The Gonzalez Protocol ™. I invite you to join us by donating your time or your treasure to this new paradigm of medicine so Dr. Gonzalez’s work can continue to save lives. You can contact me directly at marybeth@nicholasgonzalezfoundation.com or send a check to: The Nicholas Gonzalez Foundation, P.O. Box 14, Sanibel, FL 33957 or click here to donate through PayPal.